When it comes to the natural world, Australia is home to a disproportionately large share of the world's riches. That means we Australians are caretakers of a unique natural heritage in a land which tolerates few mistakes. So how are we doing? 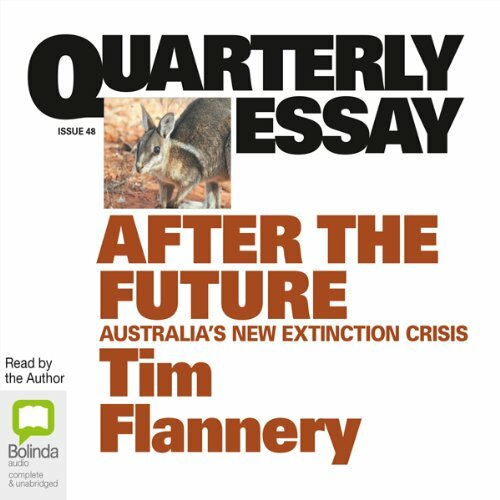 In Quarterly Essay 48 Tim Flannery says: we're often failing nature. In the clash between money and conservation, money usually wins. State governments have begun allowing mining and other incursions into national parks. A new wave of extinctions is taking place. Politically, conservationists and conservatives are at odds. But why? Surely conservatives and conservationists should be able to find common cause when it comes to preserving our natural heritage? And given that we have never known more about how to protect biodiversity, shouldn't it be possible to halt the march of extinctions? This essay is both a wake-up call to the consequences of unrestrained development, and an examination of the underlying thinking - the view of the natural world that sees it as something either to be put to use or traded off. By contrast, Flannery asks, how might we best understand, conserve and co-exist with the natural world? If you have any questions about this product by Bolinda Publishing Pty Ltd, contact us by completing and submitting the form below. If you are looking for a specif part number, please include it with your message.